There is an argument out there, claiming that conferences are a waste of time and money. I’d argue that no matter which industry you find yourself in, you won’t find a higher concentration of industry experts anywhere else. Online workshops can cost tens of thousands of dollars, and at a conference, you get to hear not one, not two, but dozens of industry leaders present, with a chance to ask questions directly to the source. For newcomers, it’s an opportunity to hoard indispensable advice about what you’ll be facing while starting out. For veterans, its a chance to fine tune your techniques by strategizing with other affiliates. For major networks, its really where you cast your line and catch the biggest fish. Staying on top of technological developments is vital in the world of online marketing. With the shift from display to native advertising, brand dollars to programmatic, and virtual reality boom right around the corner, its in everyone’s best interest not to fall behind. Trying out new software or tech can also be a time consuming task when done remotely. At a conference, you’ll have the opportunity to take part in in-person demos with the reps and developers right there at your disposal. Maybe you need a new approach that makes you and your team more efficient, maybe you are finding yourself in a strategical rut. At a conference, data engineers, publishers, online retailers, and media buyers from all around the world are there sharing their experiences. You’re going to here some horror stories, and you’re going to hear some tall tales, but in the end you are walking away with a stockpile of new ideas. Don’t like shopping around for offers? At a conference all you’ll have to do is say hello to the dozens of networks that are ready to open an account for you. Whether your seeking a mentor in the industry, looking to curate a strategy with other marketers, or sharing insight to problem solving within your company, you will make connections at each conference that show their relevancy when you return home. There is something to be said for strengthening existing connections and keeping your name relevant. Maybe you couldn’t do business together 2 years ago, but that may not be the case today. Especially with some of the more niche conferences, it may be worth your time to simply make an appearance and shake some hands. Haven’t met your affiliate manager? Never spoken to your traffic source in person? Go meet them at a conference and solidify the business you do together. Don’t forget that a lot of people are in this industry because they had a friend of a friend who started making money through online advertising. Most people you will meet at a conference have a lot in common with you, starting with their livelihood. If you haven’t been to a conference, you may be imagining a few thousand pasty people shuffling awkwardly between booths, but that is just not the case. 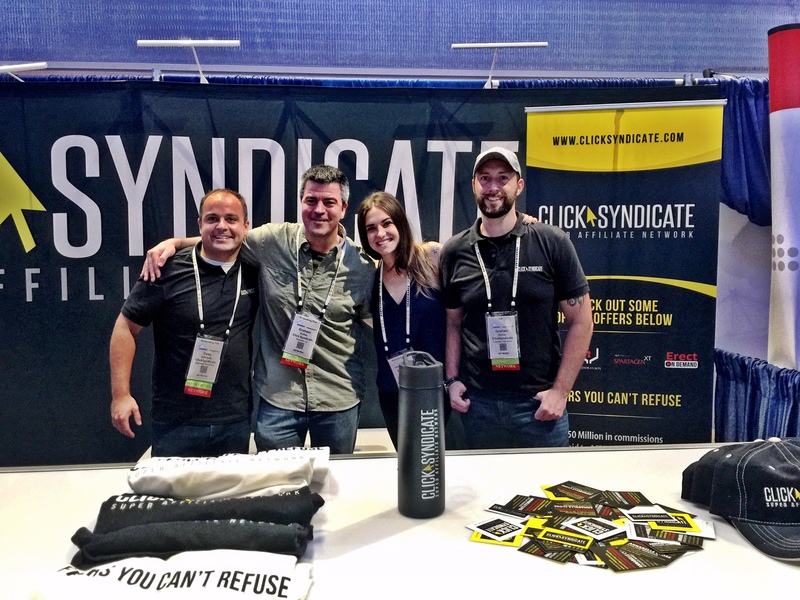 Affiliate marketing conferences are packed full with events, parties, bars, and people building professional relationships that are rooted in good times. At the end of the day, everyone at an affiliate conference is there to improve their business, and become better at their job. It’s not even a bad idea to build out your knowledge base in areas outside your job. In the simplest of terms, there is great value in surrounding yourself with the doers in your industry. Some of the most successful people I have heard speak at conferences are the ones that admit there is more to be learned. You will take something away from just sitting down and hearing what others have to say.